We had a big batch of trick-or-treaters show up at one time last night, about 9 kids age 12 and under. “Who are you?” I asked the first kid. “The Hulk.” I gave him some candy. “Who are you?” I asked the second kid. “Thor.” I gave him some candy. “Who are you?” I asked the third kid. 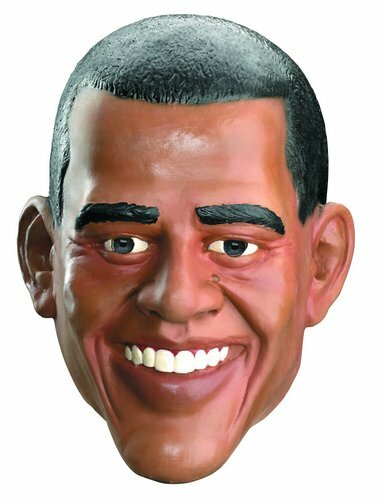 “Obama.” He showed me a wadded-up Obama mask in his hand. I didn’t give him any candy. “Put the mask on,” I said. Meanwhile, the other kids kept coming to the front and announcing their costumes . . .
“Superman.” “Batgirl.” “Pink lady from Grease.” “I’m John Cena.” “Witch.” “Minnie.” They all got candy. Finally no one was left but me and Obama. Why is Obama a Bad Politician?